Prince William, meet Prince William! The Duke of Cambridge visited Kenya over the weekend as part of his three-country tour of Africa. On Sunday, after already visiting Namibia and Tanzania, he spent time with the British Army Training Unit Kenya (BATUK) before meeting a local soccer team at Kinamba. The father of three got a special surprise while handing out Aston Villa FC jerseys to the team, getting a hug from a player who is named after him. “William meets Prince William — The Duke of Cambridge met his namesake at Kinamba, before presenting him with a @AVFCOfficial shirt #PartOfThePride,” Kensington Palace tweeted. The moment was a break in protocol for Prince William, 36, as members of the public are only supposed to shake hands with the royal family. 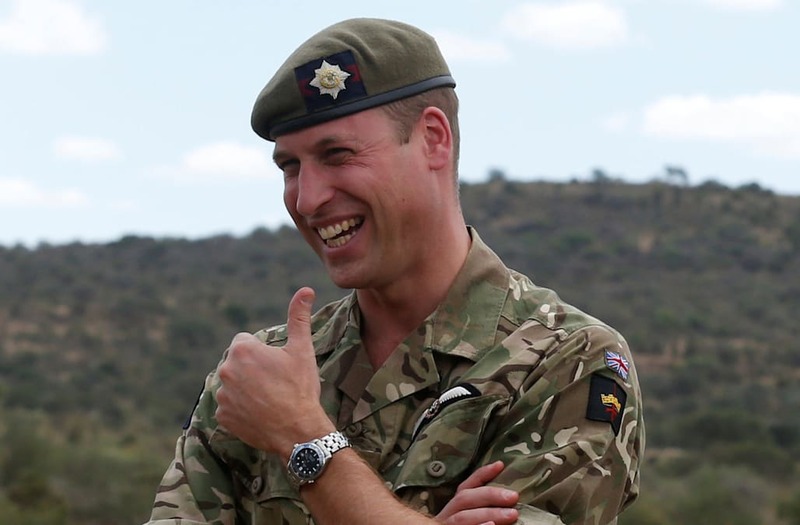 William is set to return to England following his appearances in Kenya, which will surely be a welcome relief to his wife, Kate Middleton, who stayed behind to care for the couple’s three children. Middleton is making her first solo appearance this week since giving birth to Prince Louis in April.